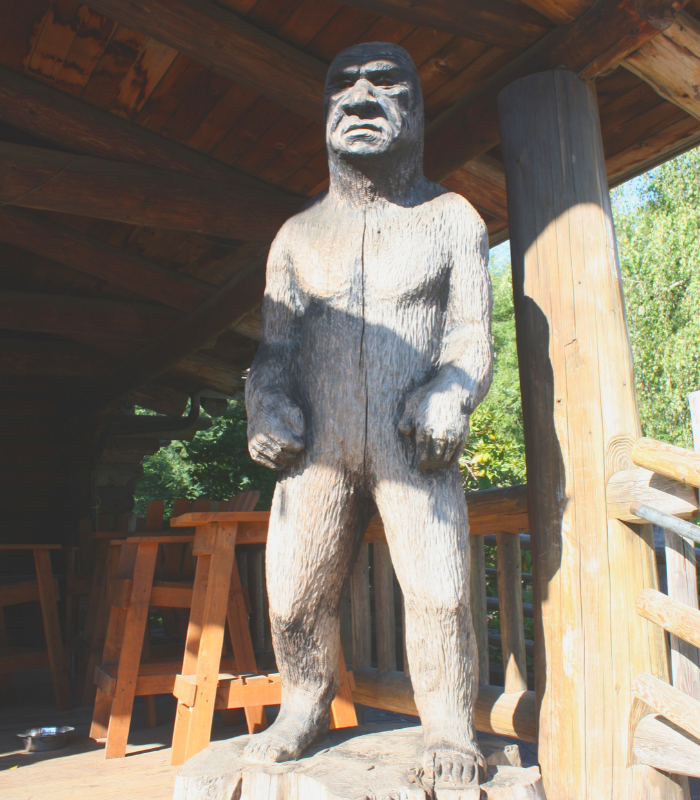 How can you be afraid of this Bigfoot? We also discovered a railroad crane that I know my grandfather would have loved to have seen! We also explored a beautiful caboose! 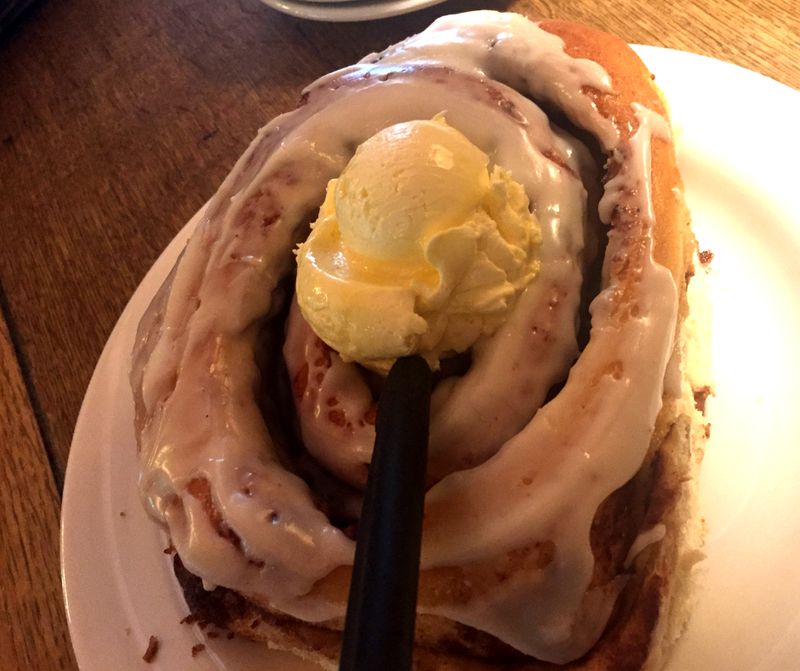 Enormous and delicious homemade cinnamon roll at Camp 18. Yes, we finished it. Yes, it was delicious! 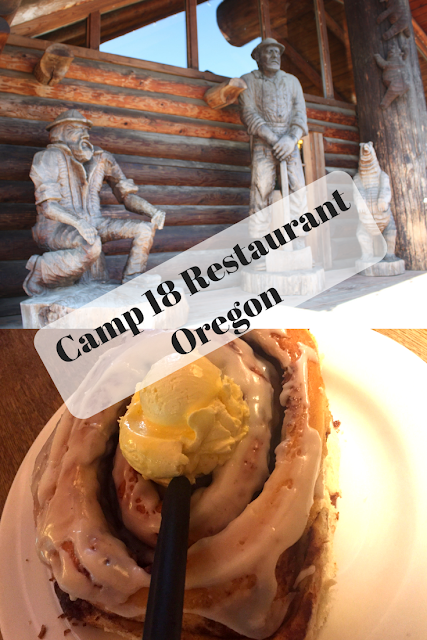 A slice of fun, pieces of history and a big old dollop of great food, Camp 18 should be on your list on your next Oregon adventure. 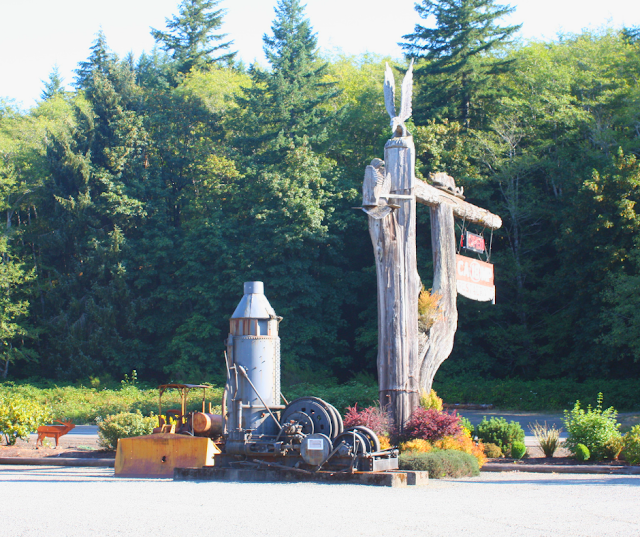 Camp 18 provided us with an extra adventure and a fantastic family memory on our drive from Portland, Oregon to the Oregon Coast.